Toronto, ON – Friesens Corporation, the premier short run book manufacturer and packaging specialist in Canada has been named as a winner in Canada’s 50 Best Managed Companies program. Sponsored by Deloitte, CIBC and The National Post, the program identifies Canadian businesses that have implemented best business practices across the organization. “We’re proud to have been recognized in the 50 Best Managed Program for the last 14 years. For the last eight years, Friesens has qualified for Platinum status in the program, which represents an even more exclusive group of Best Managed companies. This award is a validation of the hard work, creativity, and passion that the leaders of Friesens Corporation bring to work every day.” said Chad Friesen, CEO of Friesens Corporation. Canada’s 50 Best Managed Companies award is a national program that recognizes Canadian companies implementing world-class business practices and creating value for their customers, employees and shareholders in innovative and exciting ways. Not only does the designation reflect recognition, it has become a tool to drive new business, secure financing for growth, boost morale, and attract the best talent in the country. 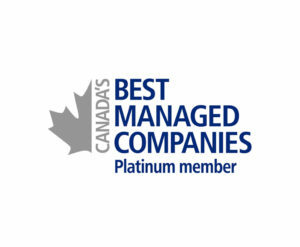 Canada’s Best Managed Companies continues to be the mark of excellence for Canadian-owned and managed companies with revenues over $10 million. Every year since the launch of the program in 1993, hundreds of entrepreneurial companies have competed for this designation in a rigorous and independent process that evaluates their management skills and practices. From humble beginnings in 1907, Friesens Corporation has grown into the premier short run book manufacturer and packaging specialist in Canada. Friesens is proud to produce amazing print and packaging for top publishers, schools, and manufacturers around the world. They maintain the most efficient cost structure through ongoing staff education, lean work practices, fast turn-around, state-of-the-art equipment, and some of the most innovative production facilities in the world.